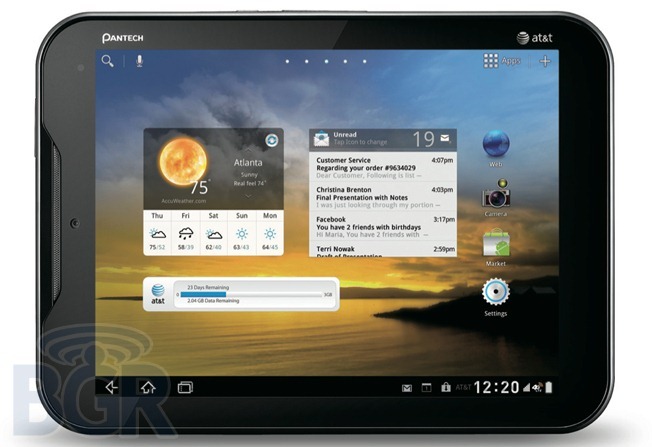 The Element is an 8-inch Honeycomb-powered tablet that runs on AT&T's LTE network, packing a 1.5GHz dual-core processor, 16GB of storage, 5MP rear shooter, and 2MP front camera. It is also one of the first tablets to claim waterproof status. Except it's really not waterproof - it's more splash proof, assuming all the ports are closed up properly. Still, a carrier-connected LTE tablet for $299 on-contract? That's not too bad (in comparison to other carrier tablets, that is). If you're not into the idea of a two-year contract, though, you'll be able to grab the Element for $449 sans-agreement. The Element is expected to be available on January 8th.